A KARASBURG man accused of killing his live-in girlfriend before bathing and dress her was found guilty of murder with direct intent, under the provisions of the combating of domestic violence act. 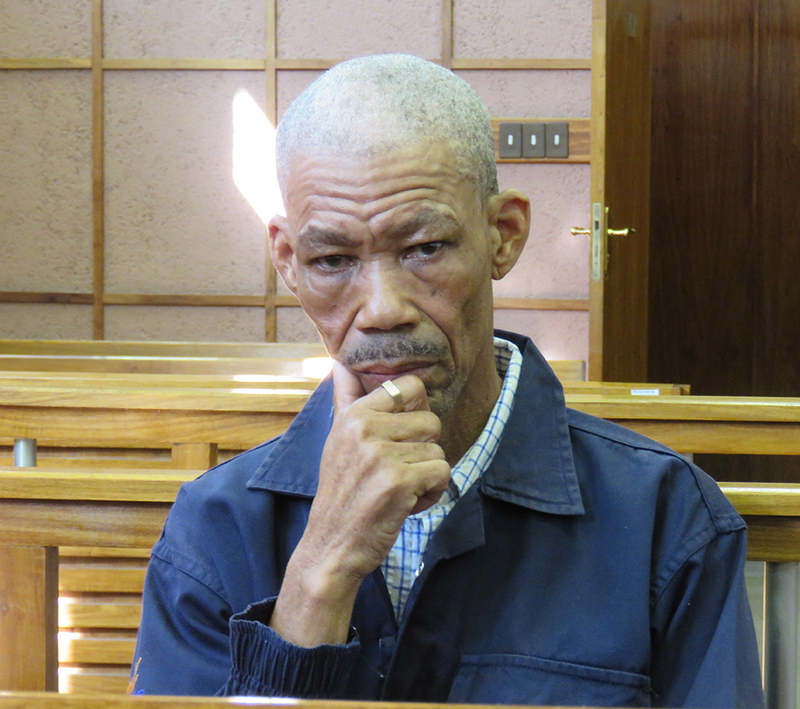 August van Wyk fatally assaulted Katrina Waterboer in 2014. The couple had just gone out to local sheebens with Waterboer’s mother, Josephine Fredericks, who on their way suggested that they sleep at her house as their place was far away. This, according to evidence before court, triggered van Wyk’s anger and he felt that Fredericks was now making decisions for Waterboer. Van Wyk at the time of the assault threw a few punches at Fredericks for interfering in their relationship. As such, Van Wyk was charged with murder, assault and attempting to defeat the ends of justice. Van Wyk’s version during the trial was that on their way from the shebeens, Waterboer fell in a ditch, hitting her head severely. He also claimed that she fell on a thorn tree and in the process got hooked on thorns. His version was, however, dismissed by Dr. Vermeulen Andries, who carried out a post-mortem. The judge equally dismissed the claims as false beyond reasonable doubt. According to the doctor, Waterboer died as a result of severe swelling to the head caused by a blunt force object. Her brain was swollen, with extensive bruises on her arms and legs. The deceased suffered multiple injuries inflicted on her by multiple blows. The doctor found that there was no way that such injuries could be caused by a fall. 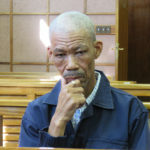 Judge Ndauendapo ruled that although alcohol was involved, van Wyk’s mental capabilities at the time were not impaired. Further, by cleaning himself up and reporting to the police that unknown persons killed Waterboer, van Wyk’s intention was to cast suspicion away from himself, the judge ruled. Van Wyk will return to court on 13 March for submissions before sentencing. State prosecutor Cliff Lutibezi represents the state, with Milton Engelbrecht representing van Wyk.